The world we experience can be challenging for young people growing up. In a world where nothing seems to escape our 24 hour news cycle and social media, the messaging that bombards all of us, including young people, is wide and varied. Unfortunately it is not always positive. Images and stories of disasters and gloom and doom always seem newsworthy. 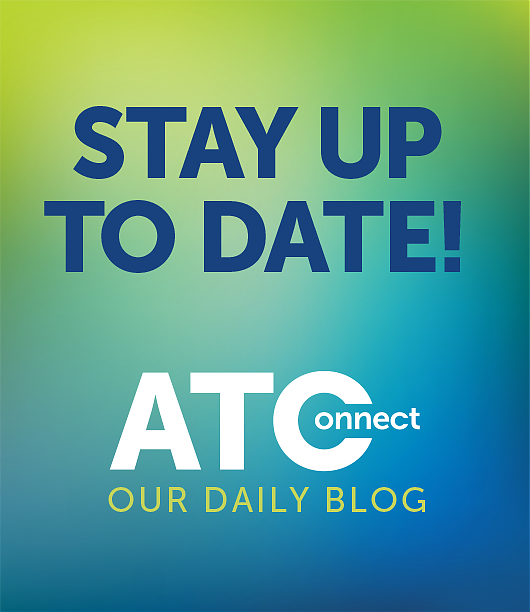 Simple everyday good news items often can’t compete, and we often need a slow news day before good simple inspirational stories reach our air waves. Growing up there were people that we felt we could trust. Forty years ago, when we were ready to embark on the journey of purchasing our first home, we went to a bank manager who we felt was a person we could trust and over ensuing years we returned to investigate further loans with them. Over the last month with the release of the findings of the Royal Commission into banking, we have learnt that the thought of trusting people to support us with the important decision of taking out a bank loan, is not what we thought. Greed is an ugly virtue and it would seem that greed rather than care and relationship, has been a central operating parameter for a number of our financial institutions. I share this with you to perhaps illustrate the world that our young people are experiencing. There are numerous examples of people not thinking of others but of people trying to take advantage of others. Similarly, our news cycles present stories of many of our sporting stars behaving poorly. It is with no confidence that I look forward to three months of political point scoring from all sides of politics with the upcoming federal election looming. Sadly our media sources seem hell bent on sharing every piece of poor judgement and behaviour they can find to sell their stories. Once again thinking of themselves rather than contributing to a more positive world. I often find myself asking, why is this news worthy? Why is this being shared? The point of this reflection is to remind us of the role that we have – to model something different to our young people. Our young men who we journey with, learn from what they see us do and learn from what they hear us say. As a counter to the constant negativity of our news cycles, I believe we need to be beacons of light and hope in our world especially in the everyday mundane world. I wonder what habits do our young men see and hear when they journey with us. When traveling in a car, do they see and hear abuse and ridicule or do they see calm and acceptance – a revengeful fist waved or a thoughtful wave to acknowledge someone’s thoughtful gesture. When they watch sport with us do they witness frustration and personal abuse, or do they see and hear a balanced perspective that doesn’t make sport a do-or-die experience. I know I have some regretful memories myself when I recall some of my own exploits as a father influencing my daughters. None of us are perfect. Here at the College this year we are talking about habits. Habits that we are trying to develop in our students to make them better learners, better leaders and better servers. At last Friday’s Years 9 -12 Academic Assembly we once again focused on the notion of excellence and the challenge for all our students to work towards their own personal excellence. In talking to our young men, I shared a quote from Aristotle that focused on a belief that was as relevant 300BC as it is now; ‘We are what we repeatedly do. Excellence, then, is not an act, but a habit.’ In our academic mentoring with students we challenge them to set goals and express these goals as behaviours. Working hard is not a goal, however asking questions in class, coming to class prepared, focusing on paragraph structure, or seeking timely feedback on drafts are behaviours that hopefully bring about improved outcomes. Habits are a key for success, and as teachers we are striving to help students develop habits that will help them achieve personal excellence in their learning. As Sean Covey reflected, ‘Depending on what they are, our habits will either make us or break us. We become what we repeatedly do.’ As important role models for our young people, what are the habits that will be seen and heard each day. Are they habits that will positively or negatively impact on our young men and women? What are we doing to help develop positive habits in our young? Do they learn to do things for themselves or do we over-parent or overprotect? As mentioned earlier, last Friday we celebrated the classroom achievements of our Year 9 to 12 students. Specifically, we celebrated those who have achieved excellence across a number of domains – those who achieved bronze, silver or gold levels collectively across their subjects, achieved A’s in effort across their subjects or shown a significant improvement on the subject GPAs. Once again it was so encouraging to see a significantly larger number of students recognised. This continued increase in both number and percentage of students, is evidence of a developing learning culture that is now firmly entrenched at the College. 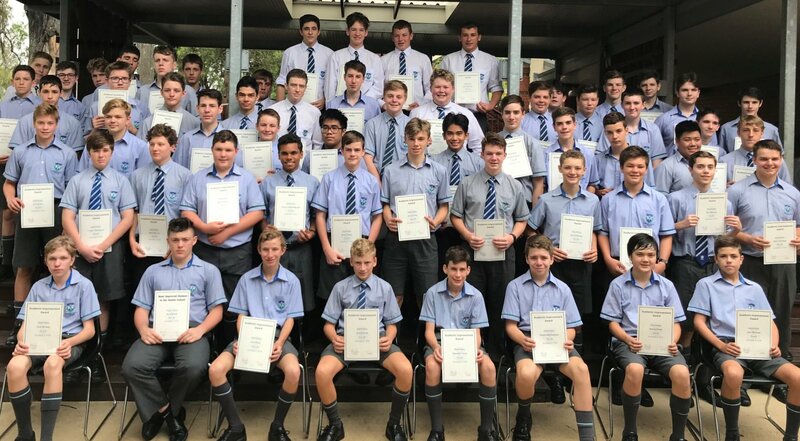 I would like to congratulate all our students who received awards on Friday; this was a just reward for their attitude towards their studies and the effort they have made to achieve their excellence. It was particularly pleasing to see some students receive an Academic Award for the first time. For some of these students this has no doubt been due to their focus on developing achievable goals and specifically, good learning habits. To all our students who repeated their academic achievement from Semester 1 last year and/or previous years, I would like to congratulate them for consistent and persistent commitment to their studies. The credit for this strong learning culture lies firmly at the hands of our teachers. Under the exceptional direction and vision of Kath Little, our Dean of Learning, our teachers have modelled and developed a strong focus on learning. I have never worked with a more committed and dedicated group of teachers who strongly believe that all their students are capable of learning and capable of their own excellence. Hopefully this increasing number of students achieving, is a timely reminder of the impact of their effort. 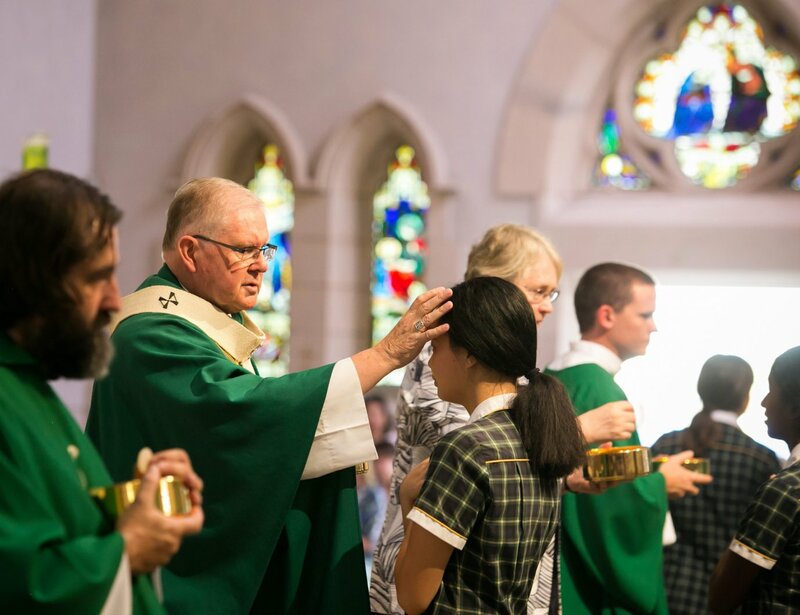 Last Friday morning I had the pleasure to join the Brigidine College community to celebrate their Opening Mass and Year 12 student leadership investiture. This year the Brigidine community has a significant celebration – their 90 year celebration as a leading provider of girls’ education in the western suburbs. 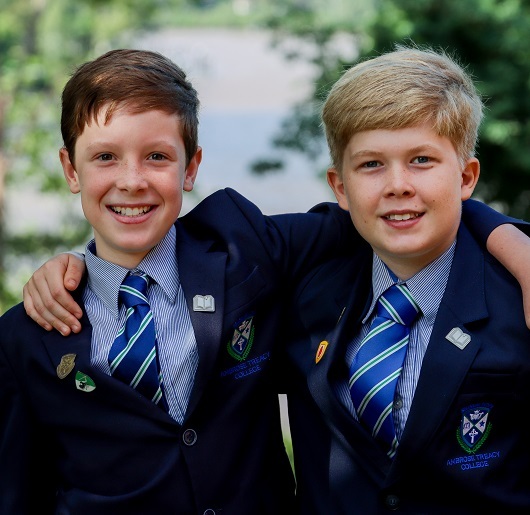 This is a great achievement and I would extend my warm congratulations to Brendan Cahill (Principal) and all the Brigidine College community on this journey. 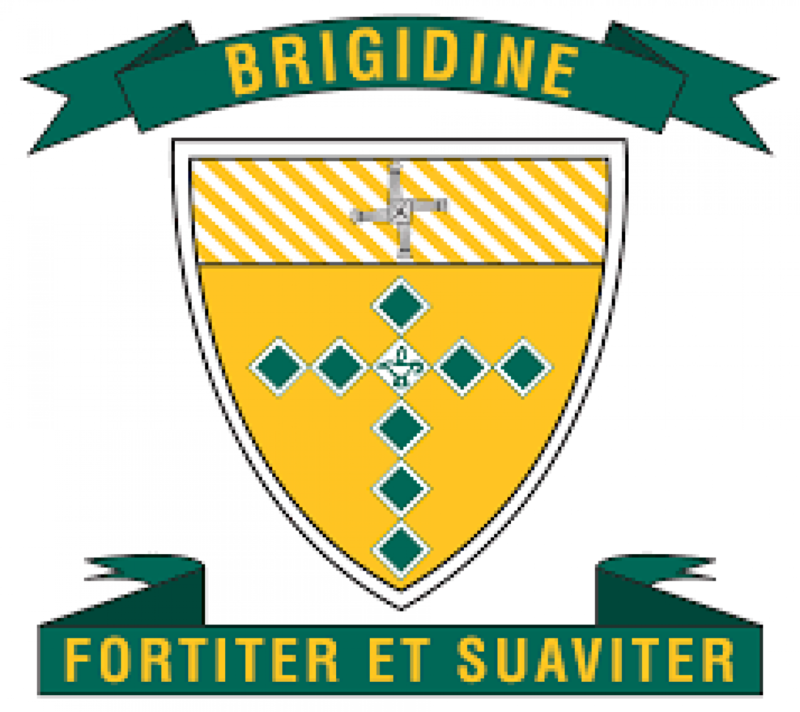 Over the last five years we have started a mutually beneficial relationship with Brigidine College. In some ways it is an ‘unofficial’ brother school – sister school relationship. I know we have a large number of families who have their daughters enrolled at Brigidine and their sons at ATC. 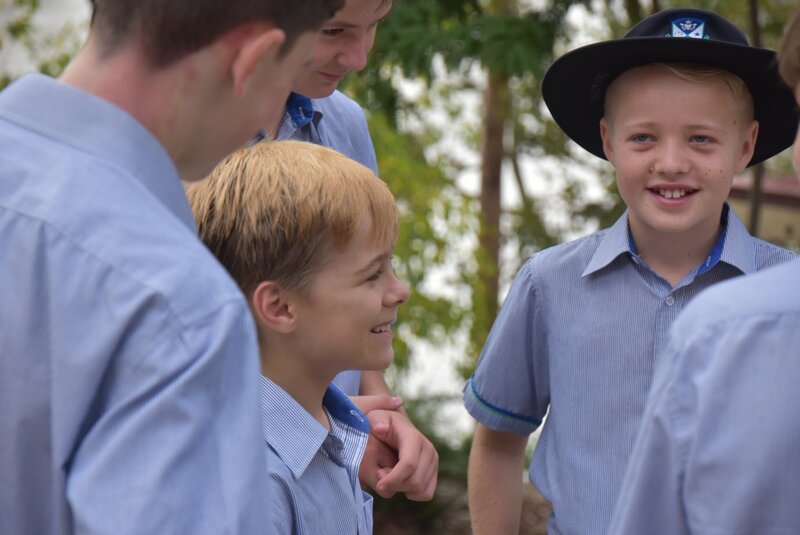 From the practical arrangements of shared bus services through the western suburbs, to a joint sporting team in the QCIS sporting competition, to a shared Year 10 St Vincent de Formal social event, to some combined musical opportunities, I certainly value the relationship we have. We are always looking for ways to see how we can further build on this relationship. All schools are challenged in responding to traffic and we are no exception to this. Traffic is heavier in the first few weeks of a school year and I would like to thank you all for your patience as the traffic associated with morning drop offs and afternoon pick-ups settles down. The reality for all school communities is that the only answer lies with patience. Safety is a shared commitment we all have, and I would ask all road users to be respectful of our road rules and travel slowly through the campus. Children can be unpredictable and we need to be alert for the unexpected in school zones. This is recognised as cars are required to slow down to 40 km/hr in roads surrounding school zones. We are very conscious of our responsibilities in our local community, and I would seek your support to ensure that all our neighbours are shown respect in the way that you drive and park in the streets surrounding the College. For 30 minutes before school and after school the streets around the College become very congested and I would ask drivers to slow down to avoid a tragedy and to also respect our local neighbours who are trying to also access and use these streets. Similarly I would ask everyone to please be aware of where you are parking in these areas. It would go without saying that drivers associated with the College should not park across driveways or in the carpark of the IMCH on our own grounds or at the fitness centre opposite the College. Apart from being illegal it shows a complete disrespect to our neighbours. Your assistance with safety is greatly appreciated.